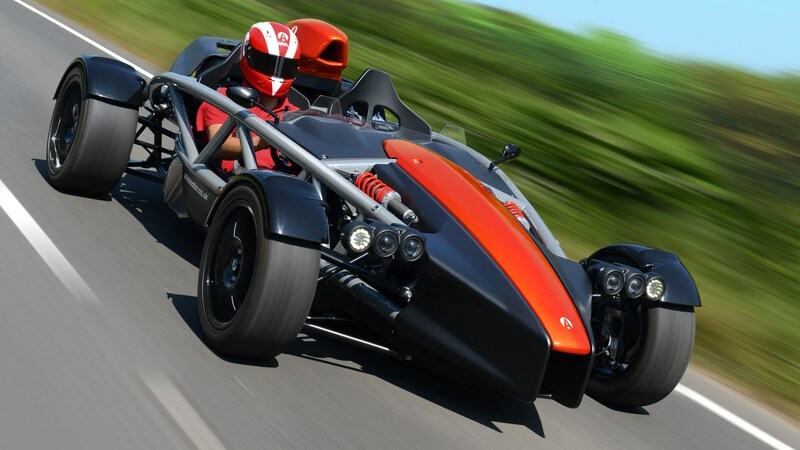 Ariel has revealed the Atom 4, an all-new track day weapon that harnesses the power of the new Civic Type R engine for even more performance. 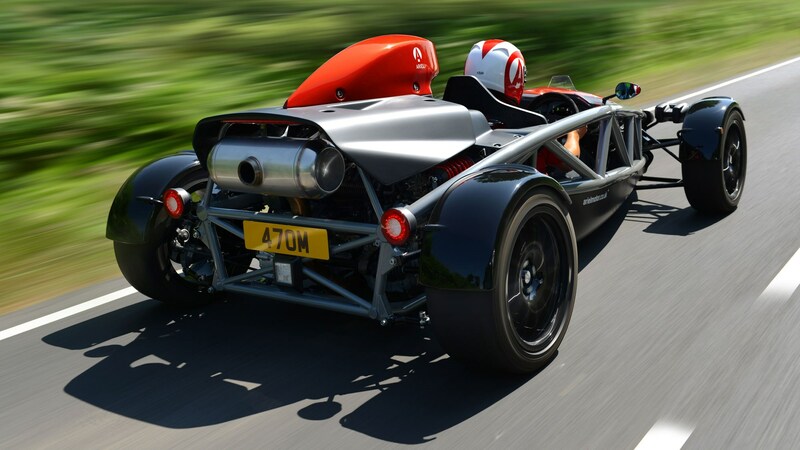 Announced today, the Atom 4 may look similar to the old car, but every panel is new – as is the redesigned suspension, chassis and powertrain. Only the pedals and fuel-filler cap make it over from the previous generation car. 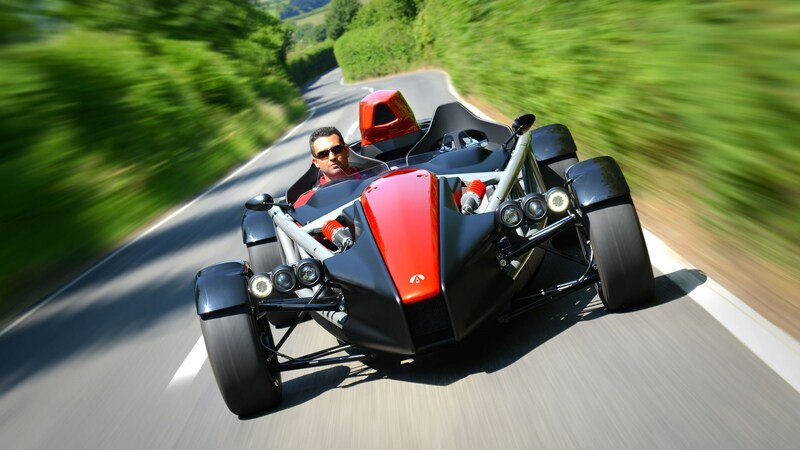 Performance is as mind-boggling as you’d expect, with the skeletal track car capable of 0-60mph in 2.8 seconds and 0-100mph in 6.8 seconds. Prices start at £39,975 and deliveries will begin from Spring 2019. Ariel’s design ethos has always married a powerful engine to a barely-there chassis, and the Atom 4 continues the trend. The new car is powered by a Honda Type R K20C 2.0L 4 cylinder direct injection, turbocharged engine – taken from the new Civic Type R.
The 2.0-litre, turbocharged Honda block puts out 320bhp, adding 10bhp over the previous supercharged Atom 3.5. But, as we know from our Civic Type R long-termer, it’s the relentless way the K20C delivers its power that makes it great: With 331lb ft of torque, the Atom 4 has 75% more pulling power than the previous car. Traction and launch controla are also available to get the most out of the Honda engine, and drivers will also be able to set boost pressures – in the same way the Type R’s R+, Comfort and Sport modes do. As you’d expect, it breathes through an all-new exhaust system. 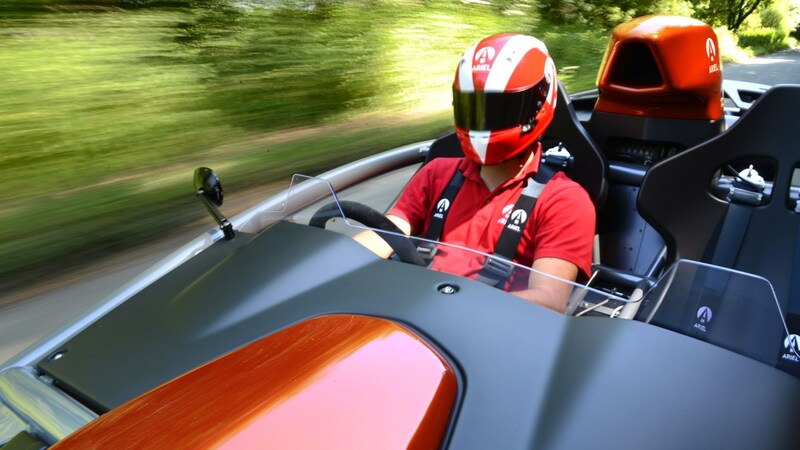 The Atom’s new tubular chassis is 15% lighter than the Atom 3.5’s, but features improved legroom, interior space and protection in the event of an accident. A revised suspension features tweaked inboard and outboard points, along with anti-squat and anti-drive to keep the car as flat as possible when cornering. Bilstein dampers and an optional semi-active Ohlins package are also on offer. 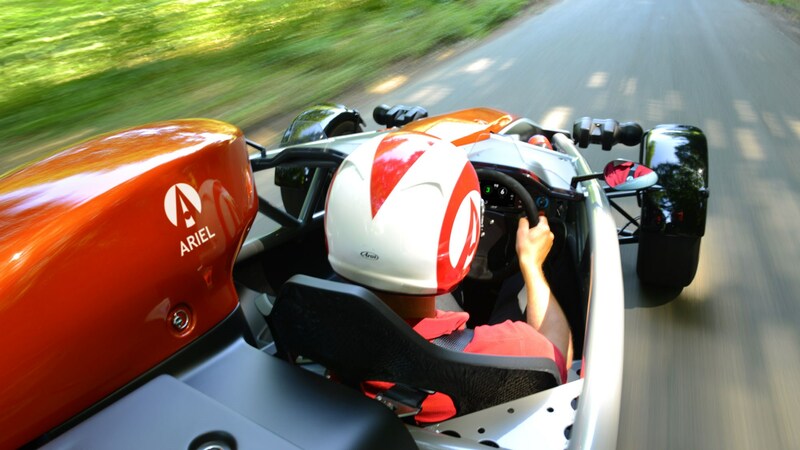 Ariel has given the Atom 4 a revised steering-rack for a wide range of road conditions, though a quicker, track-focused module is still available. Finally, Ariel has taken a detailed look at airflow around the car, and the result is a reduction in drag, increase in downforce and more efficient cooling, too. Ariel says the aero-balance of the car has been tweaked too, so handling should be more natural around higher-speed, downforce-effect corners – exactly what you want when on the limit.